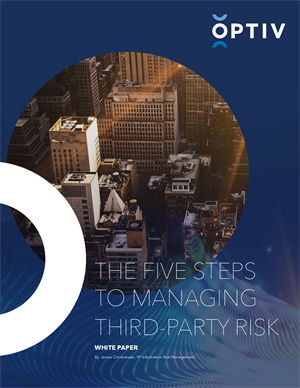 Third parties now provide many of the strategic functions previously conducted inside the walls of organizations. Most companies have hundreds if not thousands of third-party suppliers and partners. Regardless of the type of third party—such as billing, records management, cloud storage or OEM—these relationships and the services they provide create some type of risk to the organization. Read about how these risks can affect you, and what to do about them.